The yearly KDE conference Akademy just ended, so it’s time to look at what changed in the holy Kate in the Frameworks 5 land. 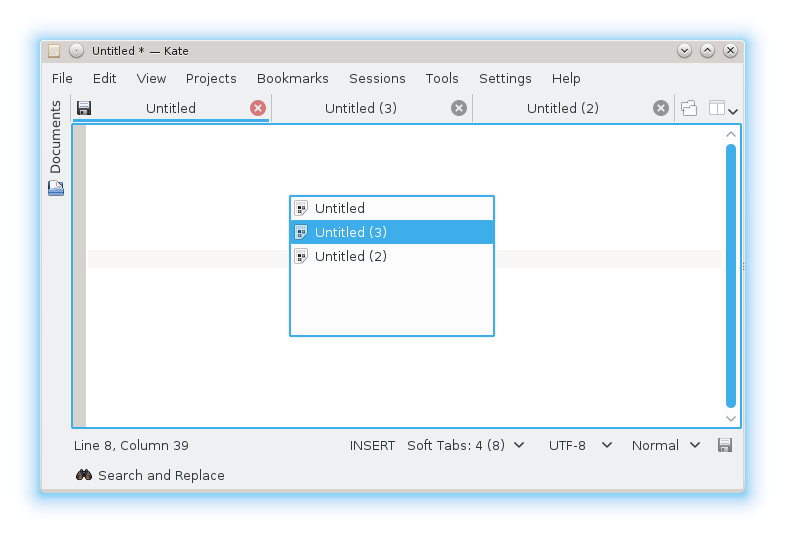 silent reload of document: Switching a git branch, Kate always pops up a dialog asking whether to reload the document. With this patch, if the document is version controlled by git, the git hash of the file computed and then it’s checked whether the file exists in git. If so, the file is reloaded without asking you. This should be very handy for developers using git! Thanks to Sven Brauch for this idea! the toolbar is by default turned off (see screenshot), resulting in a very cleaned up interface. You can turn it on in the Settings menu.